The hills of highland Perthshire are spacious and soothing, a place to relax after the rigours of Scotlands rocky north and west. They are jolly green giants and, from Schiehallion to Atholl, from Rannoch to Ben Vrackie, there are a lot of them. The long grass slopes and peaty cols provide a wealth of walking opportunitites, the nature of the landscape resulting in heather and pebble-strewn plateaus and rounded ridges, with a break from the scrambling other Scottish ranges require. 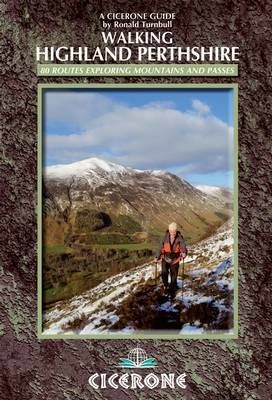 The guide describes 80 challenging and mostly non-standard routes, grouped into 10 areas across Perthshire, including all the Munros, many of the Corbetts and several smaller hills from Shee of Ardtalnaig to Birnam Hill. With PVC cover, detailed route descriptions, clear maps, photography and invaluable advice, the guide is the perfect companion to explore Perthshire's hills. Clusters of ascents described for some key summits: Ben Dorain, Ben Lawers, Beinn a Ghlo and Ben Alder ascents of 42 Munros and 22 Corbetts.